The attachment of the Gebhardt family to timekeeping goes back over generations. Karl Gebhardt's grandfather laid the foundation stone of today's collection. He was followed by his son Ludwig who "caught the bug" and continued in the same vein. His passion for collecting was served well at the beginning of the 20th century when many people replaced their pocket watches with a modern wrist watch. Ludwig Gebhardt turned his hobby into a profession when in 1923 he founded the "Uhren-Gebhardt" company in Nuremberg. His son Karl took it over in 1947. Thus, for 40 years, timepieces were collected, repaired and restored in the workshop of the Gebhardt watch and jewellery business. The result of his activities is documented in the horological collection. The graduated businessman and engineer Karl Gebhardt made himself a name as inventor and visionary in the European watch industry. He participated in the development and market launch of the quartz watch, the radio-controlled watch and the radio-controlled, solar-powered watch. 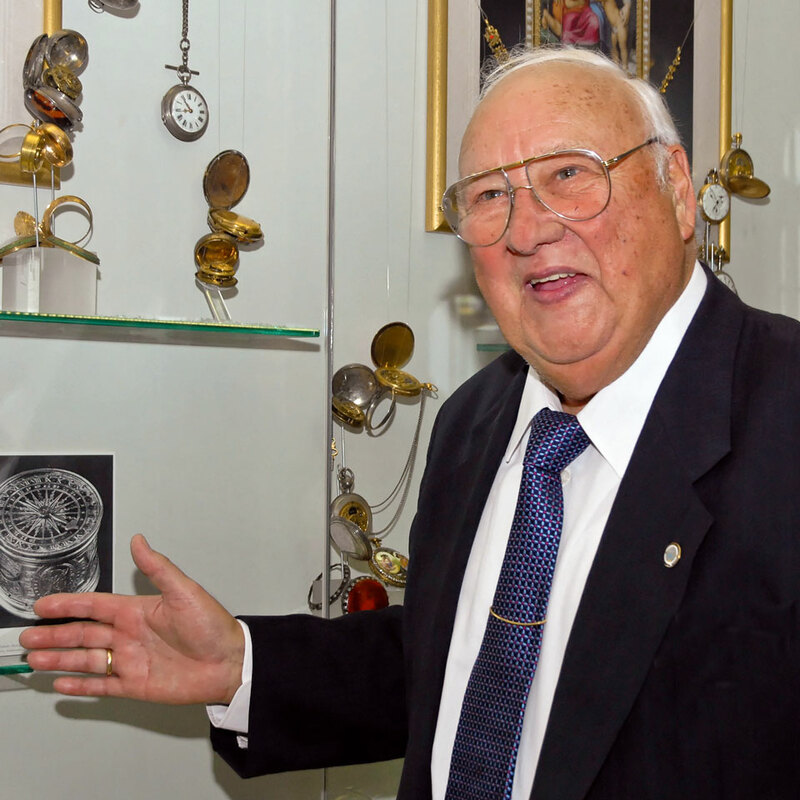 Karl Gebhardt died 5th January 2014 and with the horological collection left an impressive life's work behind him.